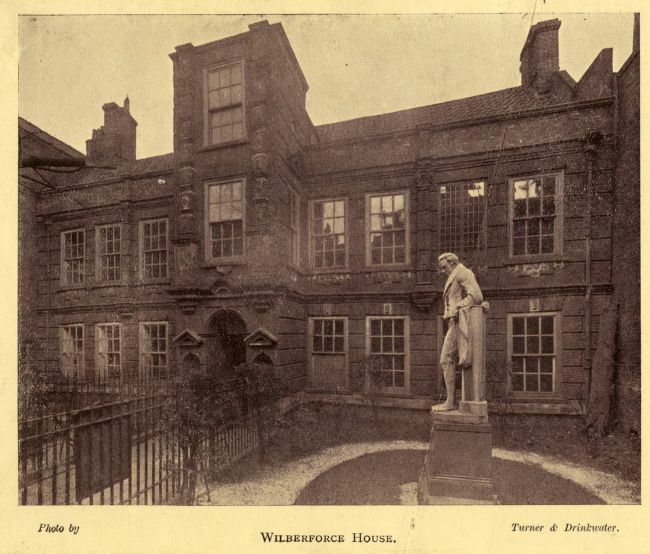 Apart from William Wilberforce, there were several other occupants who lived at no. 25 High Street, otherwise known as Wilberforce House. Hugh Lister, a local merchant, commissioned 25 High Street as a family home and it was built by William Catlyn around 1660. In 1709 John Thornton, a fellow merchant, obtained the house. Alderman Wilberforce (William’s grandfather) worked for John Thornton as an apprentice. In 1711 he married Thornton’s daughter, Sarah. After John Thornton died in 1729 the house passed to his son Godfrey. In 1732 Alderman Wilberforce bought 25 High Street and began making his fortune in trade.